Gotham City is a dense. sprawling city with tall buildings. busy highways and dark alleys. In his quest to protect the city. sometimes Batman needs a vehicle to go where the Batmobile cannot. Enter the Batcycle. Based on the design from the beloved Batman: The Animated Series. this stylish figure set comes with a sleek. 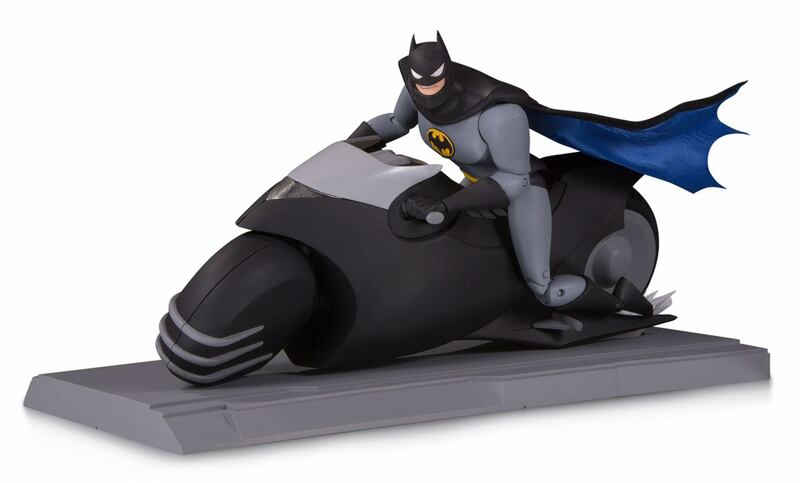 art deco-inspired light-up Batcycle and an exclusive Batman figure. Figure measures approximately 15 cm tall.